Are you tired of drawing on your brows everyday or having them melt off on hot days? 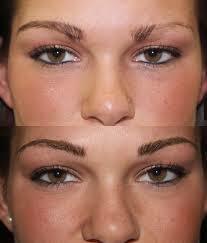 Did you tweeze or shave then you are going to absolutely love your permanent eyebrows. The eyebrows ‘frame’ the eyes and influence the total symmetry of the face. 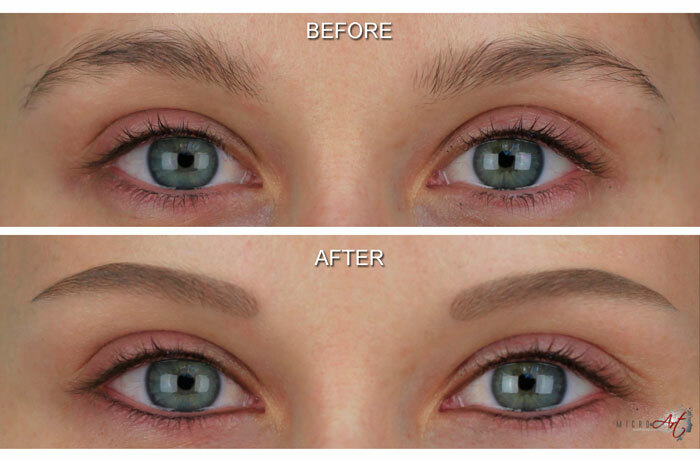 Unlike the harsh ‘stencil looking’ brows tattooed 15 to 20 years ago the techniques used by Petra results in a more natural, softer appearance. Micropigmentation of the eyebrows can add fullness, shape, symmetry, and defined color tones to fair brows or to brows that have lost hair due to age or injury. 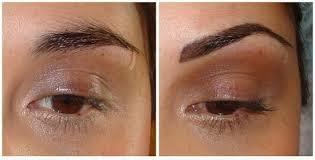 Custom blended colors are placed in the brow area to correct an imperfect shape or to give brows a fuller appearance. We use your bone structure (not a stencil) as a guide to create the most flattering eyebrow design for you. Depending on the technique and colors used your permanent brows can have the appearance of natural hairs with our hair stroke methodology or have the delicate soft appearance of color from brow shadow. Whatever end result you desire your natural facial features will be enhanced.